Faculty-led discussion-based courses for freshmen. Small class sizes. 1–2 credits. Credit/no credit. Learn “shoulder-to-shoulder” with UW faculty as they share their passion for subjects that interest them most. Explore big ideas, sample an unfamiliar discipline, learn about leadership and enjoy community with a small group of students. Washington wondered — what do we do now that marijuana is legal? Colin Marshall received his BA from Reed College and his PhD from New York University. Before coming to the University of Washington, he spent two years as the Gerry Higgins Lecturer in History of Philosophy at the University of Melbourne. He was born and raised in northern New Mexico. I teach a range of courses in historical and contemporary philosophy. In my writing, I explore historical views of the mind and morality, as well as the relationship between compassion and objective value. My grand aims is to show that morality is fully real and objective, and to figure out which of our emotions we should trust. I believe that the analytical skills of philosophy are useful in any context where we need to interpret data, decide what to do, or justify ourselves to others. A little philosophical training goes a long way, and I wish I'd been exposed to some earlier in college! Philosophy is everywhere - it's hard not to find some belief with philosophical assumptions behind it. Working together with students to identify and evaluate these assumptions is the most rewarding profession I can imagine. What are effective but respectful ways to influence other people? In this seminar, we will examine the psychology of persuasion through a philosophical lens. For example, there are various ways of priming people to make them more receptive to an idea. Some of these priming methods are sneaky and manipulative, yet others are not. Throughout the course, students will share and reflect on their own experiences of when persuasion works and doesn’t work, and of when persuasion has seemed respectful vs. manipulative. Librarians live for the opportunity to help others find information! I received my library degree from the UW and worked as a medical librarian for many years. Now, as a librarian in Special Collections, I revel in helping people find primary source material important to their research. I'm a librarian in Special Collections, the University's home for rare and unique books and collections. As we celebrate the centennial anniversary of the end of World War I in 2018, I want to share my enthusiasm for an era many students haven't learned much about and explore the parallels of issues we're still grappling with today. The past is present with us today. I love finding those intersections and learning how they affect us today. On November 11, 1918, an armistice agreement was reached ending World War I, ushering the United States into the modern era as a world power. Although World War I — the Great War — has been overshadowed by World War II in American memory, there are many parallels between the America of 100 years ago and today. This seminar will explore the pop culture — the ideas, attitudes, perspectives and influences — of the time and examine how they shaped the United States, then and now. Taso Lagos was born in Greece and came to the United States with his family when he was eight. He received his Bachelors, Masters and Ph.D. from the University of Washington. Lagos leads the Greece Study Abroad program for the Jackson School of International Studies. I am a lecturer in the Jackson School of International Studies and also the Director of the Greece Study Abroad Program there. I founded the Athens Study Abroad Program in 2005. I also teach in Honors and in Human Center Design and Engineering. Advice for freshmen: Become a global citizen; sign up for a newspaper subscription (online or print); take a person of a different political or social persuasion than you to coffee once a quarter. Teaching is equal parts craft and a mission for me. I love the opportunity to engage students in thoughtful discussion and to see them ponder the values of ideas. Nothing like seeing their faces light up when they come up with an interesting mental discovery! Are Edward Snowden and Julian Assange, both involved in releasing secret government documents, examples of courageous dissent or national betrayal? Can we make such a judgment, and once made, what lessons can we learn in thinking about dissent and democracy? And what role does technology play in all this? Here's your chance to draw your own conclusions about the importance of dissent in the information age. José Alaniz, associate professor in the Department of Slavic Languages and Literatures and the Department of Comparative Literature (adjunct) at the University of Washington–Seattle, published his first book, Komiks: Comic Art in Russia (University Press of Mississippi) in 2010. His research interests include Death and Dying, Disability Studies, Film Studies, Eco-criticism and Comics Studies. His current projects include Death, Disability and the Superhero: The Silver Age and Beyond and a history of Czech comics. I teach mainly Russian literature in the department of Slavic Languages and Literatures, and courses on comics and film in the Department of Comparative Literature. I am passionate about Disability Studies on this campus, and see the Collegium Semninar as a good venue to promote it to incoming students! I enjoy hearing my students' fresh perspectives on the material I teach. In 200 years, Mary Shelley’s 1818 novel Frankenstein, or the Modern Prometheus has become an indelible part of world culture, a true international icon transcending its origins in Romanticism, Gothic horror and science fiction. Frankenstein’s monster has grown into a metaphor for scientific overreach and bioethical quandaries of all sorts. This seminar starts with a reading of the novel, relating Shelley’s work to contemporary concerns such as genetic engineering; urban alienation; and Disability Rights. We also devote time to the text’s appropriations in many spheres, including cinema, and comics, for a sustained discussion of what Frankenstein means to us today. As 'head of distributed media' I collect, preserve, and make moving image media and sound recordings accessible at the Libraries Media Center. Before coming to the UW I was Archivist at the UCLA Ethnomusicology Archive, a Junior Fellow at the Library of Congress' American Folklife Center, and a drummer for sundry sonic projects. I collect and provide access to audio/video/film collections in the Libraries. The students. They inspire me and--more importantly--seem to inspire each other as they go out on their own and bring back to the class examples of NW music that they believe should be archived and preserved. I love to teach about NW music and ethnomusicology because the two come together in such a great way: NW music is kaleidoscopic in both it's historical and contemporary natures, and ethnomusicology gives us the tools to document and think about issues embedded in and around these sonic expressions. This class is an interdisciplinary mix, one that blends elements of ethnomusicology and music criticism. We listen to our local music heritage and place them within the historical, political and cultural contexts within which they are created, performed and consumed. Each week we explore a different era of Seattle music history: Native Americans and white settlers, the sounds and discriminatory practices of the Alaska Yukon Pacific Exposition, prepared pianos and the avant-garde, the segregated sounds of the Jackson Street jazz scene, Louie Louie, the Sonics, Hendrix, Nirvana, Macklemore, Shabazz Palaces, and beyond. Timea Tihanyi is a visual artist. Timea received a BFA in Ceramics from Massachusetts College of Art (1998) and an MFA in Ceramics from the University of Washington (2003). She also holds a Doctor of Medicine from Semmelweis University, Budapest, Hungary (1993). I teach studio art practice in the Interdisciplinary Visual Arts program in the School of Art. I'm also a visual artist. Three pieces of advice: Stop and Look (take your time); think (but do not over-think); Question (always question, but find the RIGHT QUESTIONS to ask). I believe that art is an inseparable part of everyday life, and our lives are much richer because of the arts. Art is also a mindset, a way of thinking, relating to and dreaming about the world. "Contemporary art is an INTERDISCIPLINARY PRACTICE; this quarter you will see how various ideas, cultural concepts, creative strategies, mediums and processes influence one another, resulting in fresh and new ways of considering and commenting on the world we live in. During the quarter, in the context of various examples drawn from exhibitions we will examine the importance and implications of the visual arts in the larger context of visual culture. Each week we will look at a different topic which will be organized around key concepts and artist examples. Our focus will be on the artist and the audience, as well as on their mutually dependent process of making and thinking to create new and meaningful ways of expression. Course includes visits to various art exhibitions in Seattle." I began my interest in science as a Geology Major at the College of Wooster in Ohio where I grew up. After spending a summer on an NSF student grant studying the coral reefs in the Florida Keys I decided that I wanted to be an oceanographer. I studied oceanography at Columbia University where I received a PhD and then did a post-doctoral fellowship at the Swiss Federal Institute of Technology in Zurich Switzerland. In 1977 I became an Assistant Professor at the University of Washington and have been here teaching and doing oceanography research since then. I am a professor of Oceanography. My job is to teach classes, advise graduate students and study the chemistry of the oceans. I am teaching a Collegium Seminar about Climate Change because I believe it is essential to inform the public about what we know about this topic. The subject is often politicized, and I believe there is no better time to begin a rational discussion of the scientific basis than when students are beginning their higher education. Every now and then I discover something that nobody new before. I then have the opportunity to describe this concept to students who are studying the field. The Earth is getting warmer, and these are the questions we will be discussing in this Collegium Seminar: Is the warming trend the result of changes that occur naturally as in preindustrial times, or does man’s influence on atmospheric chemistry via fossil fuel burning throw the natural balance out of whack? If anthropogenic perturbations of atmospheric chemistry are the cause, what are the consequences likely to be in the future--how concerned should we be about future warming, sea level rise, and ocean acidification? Are popular articles about these effects alarmist, or are they soft peddling the problem? If we except the responsibility to manage man’s influence on climate, are we ready to apply the brakes to laissez-faire capitalism to slow down the atmospheric increase in fossil fuel CO2? How much effort and expense are we prepared to invest to promote alternative energy generation or mitigate climate change via large-scale environmental engineering? Brinda Jegatheesan is Associate Professor in Educational Psychology. She specializes in the Psychology of Child- Animal Interactions with a Cross-Cultural focus. Her research is comparative international. I am an Associate Professor in Educational Psychology. My specialization is in the psychology of child-animal interactions. I work with shelters, wild life foundations and other animal organizations in providing children with opportunities to learn and develop mindfulness, compassion and a reverence for life through exposure, experiences and interactions with animals. Advice to freshmen: Learn about a new area that impacts lives positively; make a difference in the lives of children and animals by applying your new knowledge; learn that the natural world has deep life lessons for children in their every life and well-being. I love teaching about this area because students leave my lectures learning new things never learned before and they understand deeply the tremendous impact animals have on the lives of children. How do animals impact children in their everyday life? What are the different ways children encounter animals? Why are interactions with animals important to children’s development and health? This seminar will provide an understanding of how children’s lives are enriched by the love and companionship of a pet. Topics include the role pets and therapeutic animals play in children’s health and development, animal-assisted therapies, how young children think about animals and cultural attitudes towards animals. The course is discussion-based and you will learn via classroom and on-site, using visuals and discussions with guests who work with children and animals. I am an Associate Professor at the Center for Digital Art and Experimental Media (DXARTS). Originally from the UK, I am also a practicing artist who works predominantly with installation, video and data-driven art forms. My work has been exhibited around the world, notably at ZKM, the Prix Ars Electronica and the Toronto International Film Festival/MOCCA. I am an artist and an Associate Professor at the Center for Digital Arts and Experimental Media (DXARTS). I make work across a wide range of platforms – video, installation, online, sculpture, and public art. At UW I teach studio art classes covering Video, Big Data, Physical Computing and the Internet. I’m teaching a seminar because I don’t often get to work with freshmen - it’s great to be able to work with students before they become too specialized. I’m looking forward to hearing fresh ideas and perspectives, and helping to get them thinking differently about the relationship between art and technology. Most of what I teach involves making art using emerging technologies. I like the challenge of figuring out what those technologies represent for us as human beings, and inventing methods for building art with them. In some cases, students are more familiar with the technologies than I am, which means I am always learning too. How is art different after the Internet? The class looks at work being done by artists using the Internet and assesses ways in which the Internet has influenced and changed more traditional art forms. It considers the shifting role of the museum and gallery in relation to the Internet, and it asks, what skills does an artist need today? Students will view and discuss new approaches to art that the Internet has opened up. As well as short weekly readings/viewings and participation in discussion, students will complete a short written assignment in which they will speculate about future possibilities for art, after the Internet. I am a Pharmacologist by trade. I run a small lab that studies the molecular pharmacology of the G-protein coupled receptors, which are targeted by ~40-60% of all medicines. I teach Medical, Pharmacy, Graduate and Undergraduate students about how drugs are used to treat disease. I joined the UW in 2005 in the Department of Pharmacology and obtained tenure in 2012. I run a small NIH funded lab (~10 people) that studies the molecular pharmacology of the G-protein coupled receptors. I teach medical, pharmacy, graduate and undergraduate students. I sit on various committees and help run Departmental functions. Typical stuff. Three pieces of advice for freshmen: study hard; study what you love; don't forget to have fun! I am a Pharmacologist. I obtained my BS in Biology/Pharmacology from McMaster University in Hamilton, Ontario, Canada, the birthplace of Problem Based Learning. My passion is to merge PBL with modern technology to educate young people interested in Health Sciences about Pharmacology. In the past I introduced podcasts and PBL format to pharmacy and medical students. Currently I am coding an iPhone app that will provide study tools to Health Care professional students. My future goal is to create an Undergraduate Pharmacology co-op program that prepares students for careers in the Pharmaceutical sciences by providing internships in the public and private sector. Are you interested in drugs? Steroids. Heroin. Anti-histamines. Viagra. Antibiotics. Marijuana. Chemotherapeutics. Aspirin. Methamphetamine. Cough syrup. Insulin. Cocaine. Do you wonder why they work? How they are discovered? Where they come from? The way we study them? What they do in the body, and what the body does to them? How they are regulated by the government? This seminar will introduce you to the wonderful world of Pharmacology, or the science of drugs. If you aim to attend Medical/Pharmacy/Dental school, or are just curious about drugs, please join us for an engaging discussion! Michael Berry teaches courses in music theory and popular music in the University of Washington system. He has published on a wide variety of topics in music, from contemporary Soviet music to hip hop and "Kindie." He is active as a double bassist, and plays regularly with several orchestras in the region. I help students learn to listen critically to all kinds of music. The transition from high school to university poses many challenges for students, and I love helping students adapt to this new chapter in their lives. Music is something that everyone has in common, and it's a very useful lens through which to examine our world. I love the look of recognition when a student hears something in a new way. In the wake of police killings of young black men and women, the Black Lives Matter movement has emerged to call attention to racial disparities in policing. Hip hop has long been proclaiming a similar message. In this seminar, we will examine the relationship between hip hop and Black Lives Matter, first by studying historical precedents like the Black Panthers, and then by looking at how hip hop interfaces with BLM. Readings, documentaries, and guest speakers will help us explore questions of leadership in the movement. Why does dance matter? What impact does dance have on our well-being? This seminar will provide an understanding of how dance enhances physical, cognitive and emotional well-being, promotes artistic, creativity and aesthetic development and an understanding of-cultural and historical influences on communities. Topics include non-verbal communication, artistic and embodied creative expression, dance as therapeutic enhancing developmental, physical and psycho-social change, mind-body awareness and an ability to process and respond to sensory information. Guest speakers/dancers, performance artists, documentaries, explorations of dance and arts across cultures and its significance in human thought and expression will be studied. Conor Casey is the founding labor archivist of the Labor Archives of Washington, UW Libraries Special Collections. From 2001-2008, he worked at the Labor Archives & Research Center at San Francisco State University, becoming archivist and visual collections curator. Accredited by the Academy of Certified Archivists, Casey holds an MA in U.S. History with a concentration in labor and public history from San Francisco State University, and a MLIS from San José State University with a concentration in archives and academic reference. Conor was the co-chair of the Society of American Archivists Labor Archives Roundtable from 2012-2015. Conor became interested in labor history through researching family history. His maternal grandfather was a striking San Francisco ILA longshoreman during the 1934 Pacific Coast Maritime Strike and was later a member of ILWU Ship’s Clerks Local 34. I'm the Labor Archivist at the Labor Archives of Washington: I'm responsible for collecting, preserving and creating access to labor and labor-related materials from individuals and organizations documenting the local, national, and international dimensions of the labor movement in the Pacific Northwest. Our collections document the intersection between labor unions and social justice, civil rights, and political organizations that feature a labor relations or labor rights dimension as part of their focus. Many people in the Seattle area (or many locals, for that matter) don't know the long history of labor and social justice struggles in this area or how they still influence current politics, society, and culture. I want share this information as well as teach people about how to use archives and special collections so that they understand the rich collection of history we have at the UW Libraries Special Collections and why these collections matter! Empowering people to connect with information that they are interested in so they can use it to make their own interpretations or arguments. This seminar will look at leadership through the lens of local labor, civil rights, and social justice history, employing collections documented in the Labor Archives of Washington and related collections in the University of Washington Libraries Special Collections, as well as the Seattle Labor History and Civil Rights Project website. We will look at key leaders, organizations, or moments from local history that helped shape Washington state's history and culture to the present day. Originally from Germany, I came to the United States to obtain a Ph.D. degree. My research interests include medieval and early modern German and Yiddish literature and culture. I am currently working on a book project concerning the adventures of an Arthurian knight across different languages (Yiddish and German) as well as across different media (manuscripts, prints, wall paintings, comics) from the 13th to the 21st centuries. I am teaching German literature and culture, historic linguistics, and the richness of the Middle Ages! You are not alone. Get to know your peers! Humanities majors offer a high employability, so embrace your interest in the humanities! Read the syllabus! I get to teach students about medieval literature featuring King Arthur, dragons, and singing dwarfs on horsebacks, while also exploring our common human need of telling stories! I love it! In pop culture, the Middle Ages are often portrayed as a “Dark Ages” and a time lacking diversity. This seminar will provide you with a new understanding of the “not-so-dark” Middle Ages through the lens of diversity. It will help you critically review how you understand and perceive diversity by learning about medieval ways of coexisting within heterogeneous societies. Additionally, you will learn to critically evaluate your own opinions and ways to keep an open mind in your learning experiences. Come and learn from the Middle Ages with fellow freshmen and build your leadership skills for a successful time at UW! Chris Laws is a Senior Lecturer in the University of Washington's Astronomy Department and the English Department's Interdisciplinary Writing Program. He is also Assistant Director of the Manastash Ridge Observatory, faculty advisor for the undergraduate League of Astronomers, and a frequent mentor of undergraduate research projects. He currently serves as a member of the Faculty Senate, Faculty Council on Student Affairs, and the Husky Union Building Advisory Board. I am a Senior Lecturer in the Astronomy Department, a long-time member of the Interdisciplinary Writing Program, an active participant in UW's shared governance, and the happy colleague and mentor of a delightful variety of undergraduates, graduates, and fellow faculty. I like to teach Collegium Seminars because my past experiences teaching Freshmen Interest Group courses in ENG199 have shown me the powerful effect close student-instructor interactions have on student outcomes as their academic careers evolve. I hope to inspire freshmen right away with the possibilities of exploring deep, physical questions in a directed way during their "time" here at the UW. I love the fact that astronomy and physics reveal such an intricate and beautiful universe — one that we now seem to understand in so many meaningful ways, yet one filled with many basic and profound mysteries. The flow and rhythms of time permeate literally every aspect of our individual lives and the entire cosmos around us — yet time itself remains remarkably difficult to physically understand. In this course we will explore modern science’s picture of time — how we experience it as a culture and as individuals, and the role it plays in current models of the universe as a whole. We will investigate how time is physically measured, and the often counter-intuitive implications of relativity, quantum mechanics, and astronomy on issues such as time travel, consciousness, and the beginning and end of the universe. 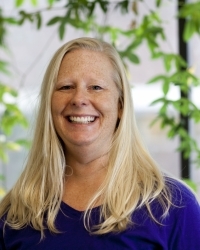 Beth Traxler received her Ph.D. in biology from Carnegie Mellon University where she studied the mechanism of DNA processing during bacterial conjugation. Her postdoctoral research on the assembly and structure of membrane proteins was done at Harvard Medical School in the laboratory of Dr. Jon Beckwith. The research in Dr. Traxler's laboratory focuses on the genetic and biochemical analysis of protein folding and function. The lab uses two different models found in Gram negative bacteria. One interest is the characterization of ATP binding cassette (ABC) proteins in the Escherichia coli cytoplasmic membrane. This work focuses on the maltose (MalFGK) transporter as a model of the in vivo folding process for heteromeric membrane proteins complexes in general and for proteins of the ABC superfamily in particular. This analysis has led the lab to propose a novel model for the mechanism of membrane protein folding, in which a final complex can assemble in non-ordered process from a variety of intermediate complexes. In addition, the lab is characterizing the specificity of protein-protein interactions among the many ABC transporter subunits expressed in a bacterial cell. A second interest of the lab focuses on the processing of DNA and on membrane-based events during late stages of bacterial conjugation. Bacterial conjugation is an efficient way to transfer genetic information among prokaryotes and accounts for the dissemination of many antibiotic resistance determinants among pathogens. The analysis exploits the well-characterized F plasmid of E. coli as a model and aims to characterize the mechanism of DNA processing and DNA transfer through the cell envelope during conjugation. Recently, the lab has been involved in the development of materials for nanotechnology. Different proteins characterized in the lab’s genetic analyses are being engineered by the addition of polypeptide sequences that bind to various inorganic compounds. Those inorganic compounds can be arranged in predictable structures, based on the self-assembly properties of the substrate proteins. Examples include using different DNA binding proteins to organize inorganic nanoparticles along a DNA guide. Diversity Issues in Science has been taught by Dr. Traxler since 2005. It is a seminar course focused on discussion of how people of different ethnic/social groups or nationalities experience “research” and how research impacts peoples’ lives. Issues include what informed consent for research means, how different people perceive ethical research, and how politics can inform and affect scientific research. Professor Marc D. Binder joined the faculty of the Department of Physiology & Biophysics in the UW School of Medicine in 1978. His research laboratory currently focuses on studying the biophysical properties of motoneurons and their alterations in mouse models of human neurological disorders, as well as elucidating how the functional coupling and cooperative gating of voltage-gated membrane channels affect the excitability of nerve and muscle cells. Though Professor Binder’s primary teaching responsibilities lie within the medical school, he has enjoyed participating in the Collegium Program over the last several years, offering a diverse series of courses including neuroscience, film history, the origins of money and finance, and ideas that changed the world. I am a Professor of Physiology & Biophysics in the UW Medical School. In addition to heading a research laboratory, I serve as the Director of the Institutional Training Grant for Neurobiolgy funded by the National Institutes of Health, that provides funding for UW graduate students engaged in neuroscience research. The work in my lab focuses on understanding how individual nerve cells generate electrical impulses. My teaching responsibilities include courses in human physiology, cell physiology and neuroscience, predominantly for graduate and professional students. A number of undergraduate students have pursued independent research in my laboratory. Three pieces of advice for freshman: Find out who the best UW professors are and take their courses regardless of the subject matter. Never skip class. And, if you're not playing a sport, be sure to add an exercise or work out period to your daily schedule. What do I love about teaching? What could be more interesting than understanding how our brains work? Once the exclusive domain of philosophers, the intellectual struggle to comprehend the nature of consciousness now engages a wide range of investigators in the fields of neurobiology, cognitive psychology and computer science. Through directed readings across academic disciplines and class discussions, we will attempt to comprehend the nature of consciousness and identify its essential properties. Issues to be addressed include whether or not the concept of consciousness is fundamentally coherent; whether consciousness can ever be explained in physical terms; whether consciousness exists in biological organisms other than man; and whether or not computing machines are conscious. After receiving a PhD in Neurobiology and Behavior from UW, I have remained here to teach for over 16 years. My interests include cell biology, marine biology, transgender equality and women's work-life balance. I am the mother of two children. I teach undergraduate Biology at all levels from introductory to senior level seminars. I am teaching a Collegium Seminar because I believe that freshmen come with an open mind and heart, eager to explore. I want to inspire new ideas and questions. Biology is the essence of life - it helps us understand the world around us and ourselves. How did life begin on Earth? What molecule came first? How did cells form? How are we related to our Last Universal Common Ancestor (LUCA)? These are the BIG questions—so big that researchers in diverse fields such as Biology, Astronomy, Geology and Chemistry have to team up for the investigation. All cells come from pre-existing cells—therefore all living things are related. This must inform the way humans perceive and understand the world around us—our interconnected relationship to all other life and our future in a world faced with climate change, war and political strife. My resume says that I am a biologist, a coach, and I have a PhD in education. Each year I teach a 750-student Biology course, and my most important job is to help that group of talented students to co-create a fair and innovative set of exams with which to test themselves. I've built a course in Civilizational Biology based on the understanding that there are far, far more interesting things that I don't know compared to those few that I do. I am in an unusual in-between job: I teach in the Biology department under the Faculty part of my title(s) and I run the teaching side of the Biology department as well (organizing, hiring, mentoring and evaluating temporary lecturers, TAs, and the 11 staff I supervise at UW Biology). My masters is in Molecular/Cellular Biology, but my PhD is in the Learning Sciences. A university is a collection of ways of thinking about the world; some of these ways may lead more directly to a paycheck but every one of them has value to the planet. Students need to find their best fit, but I also want to challenge you to go beyond 'best' and diving more deeply into other ways in which you might think about your world. If you don't like Poetry or Physics, then I hope your time at UW pushes you to find out WHY you don't like them and why they are so valuable for other people. If this collegium is one of the few times that you'll be out of your major area of study, then I want to focus on those viewpoints and systems of thought so that even if you don't know how to use all of the tools, you can still build a home. Whether in biology or social sciences, I love helping students to bust through their preconceptions for how they know what they know. Are you living based on feelings or do you trust hard evidence? More importantly, what do you do when neither feelings nor evidence make the next move clear? Diving deeply into a topic really is practice for all of the other mysteries you will eventually face, and I like to be there to prod and push and challenge students to make those steps for themselves. And I love transmembrane proteins. And scavenging. The rest of your classes will help you learn about how to understand and change society, but this class is about what happens afterwards. The apocalypse is coming. We'll forgo the zombie fantasies and stick to the science: How do civilizations fall? What will help us to rebuild? Is there anything we can do now to make the transition more likely...or even possible? Join us for an introduction into Civilizational Science and start thinking across disciplines about how civilization was built, why it might fall, and where we start picking up the pieces. Professor Howard is a former prosecutor and judge who has taught evidence and other trial-related skills all over the United States, as well as in Hong Kong, in Ireland, and in Africa. In addition to her formal teaching, Professor Howard writes and speaks nationally on the art of trial advocacy and has appeared on several television programs as a legal commentator. I teach aspiring trial lawyers how to prepare and try cases in the courtroom. Make sure to take one class your first year that excites you — a class that you are so passionate about that you would take even if you weren't receiving credit. Spend some one-on-one time with your professors. Visit them during office hours and get to know them. You'll be surprised how approachable we are and how much we want to help our students. We really do teach because we love to teach and we want to help our students grow and succeed. There are no stupid questions. As a former prosecutor and judge, I have the highest respect for our jury system and I am fascinated by the interplay of law and psychology in the presentation of a case to a jury. In this seminar, we will examine how scientific and technological advances have changed forever the discovery, collection, analysis, preservation, and presentation of evidence, before and during trial. We will also discuss how these changes impact bias and discrimination in the trial process. Students will learn how a judge determines whether expert scientific opinions are admissible, how social media has influenced jury selection, how advanced technological presentation options have presented both opportunities and obstacles to trial lawyers, how juror access to information on the internet has created invisible avenues of digital "evidence" that can influence jury deliberations, and how mass media coverage of trials can influence the outcome and threaten juror privacy. In addition, we will discuss the impact on jurors of the prevalence of CSI-type television shows and movies that may mislead jurors as to the current state of science, affecting jurors' assessment of evidence presented. Grant Blume worked as a UW admissions counselor before earning his master’s degree in public administration (MPA) and Ph.D. from the UW’s Evans School of Public Policy & Governance. Prior to his time at the UW, Grant worked in Washington DC for a member of Congress. As the first in his family to attend college, Grant cares cares deeply about postsecondary access and the transformative power of education. As a faculty member at the Evans School I get to teach students about public policy and public management and help them see how these topics shape nearly every aspect of our lives. I teach courses in policy analysis, program evaluation, and public management. I also am privileged to work on my research agenda and explore topics related to government, institutional racism, and social justice. I’m teaching a Collegium Seminar because I want students, early on in their undergraduate experience, to get excited about the incredible opportunities and rewards that come from a career in public service. “Public policy” and “governance” aren’t necessarily words we throw around every day but they belong in the vocabulary of any undergraduate who wants to make their community, their country, or the world a better place. I love that I get to work with students who believe in the power and opportunity of public service. What I love about what I teach is knowing that students are going to take the skills they develop in my classes and go out to make our communities and our government more effective and more equitable. Washington voters legalized marijuana in 2012 and authorized its recreational use for persons 21 years of age and older. This represented an unprecedented task for state government: create a market for, along with regulating, taxing, and monitoring, the production and sale of a product that was now legal in Washington but illegal in 48 other states, not to mention at the federal level. How elected leaders, public administrators, and the state’s fledging cannabis industry grappled with these challenges is a unique and fascinating case study in democracy, public policy, and governance. Bill Talbott received a UW Distinguished Teaching Award in 2011. He is the author of "Which Rights Should Be Universal?" (Oxford University Press, 2005) and "Human Rights and Human Well-Being" (Oxford University Press, 2010). The Korean translation of "Which Rights Should Be Universal?" was named Korean Human Rights Book of the Year by the Korea Human Rights Foundation in 2011. I teach courses in ethics, political philosophy, and epistemology. I am on the Steering Committee of the UW Center for Human Rights. Freshman year is a time for openness and exploration. A freshman seminar is a fun way to explore an area that you may not be familiar with. I love giving students an opportunity to think about questions of ethics or justice or human rights or even questions about what it is rational to believe. I also like opening up new possibilities that you might not have thought of before. This seminar will provide you an informal introduction to philosophy at the University of Washington. In this seminar, you will learn about some of the major areas of philosophy, you will read about some of the important philosophical issues in each of the major areas, and you will have an opportunity to discuss those issues in an informal setting. 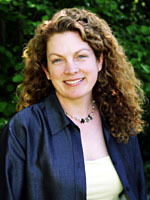 Nancy Jecker is a Professor at the University of Washington, School of Medicine, Department of Bioethics and Humanities. She holds adjunct appointments in the Department of Philosophy and School of Law. 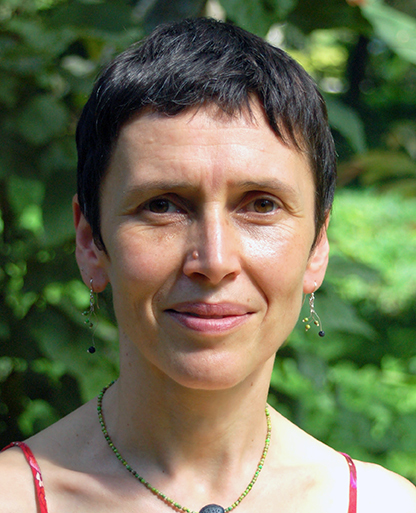 She is the editor (with Albert Jonsen and Robert Pearlman) of Bioethics: An Introduction to the History, Methods, and Practice and the author (with Lawrence Schneiderman) of Wrong Medicine: Doctors, Patients, and Futile Treatment. 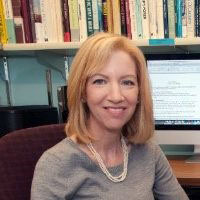 Her articles have appeared in the Journal of the American Medical Association, the Hastings Center Report, The American Journal of Bioethics, and the Journal of Value Inquiry, and other publications. I am trained as a philosopher and have been on the faculty in the UW School of Medicine for over 25 years. I teach and write about ethical issues that arise in the health care setting. I regularly teach courses on Ethical Theory (BH 402/PHIL 412); Justice in Health Care (BH 474/PHIL 411); Philosophical Problems in Bioethics (BH 420); and An Introduction to Bioethics (BH 411). My department offers a popular undergraduate minor in Bioethics and the Humanities. Cast your net wide. Explore things you've never heard about so that you can be stretched and grow as a person. Find your passion. Don't settle. Do good. Once you figure out what subjects you care most deeply about, find a way to use this to contribute to the world around you. I love seeing undergraduates become seriously engaged and excited about ethical questions. I enjoy watching students debate controversial topics, especially when they are asked to defend a position they do not agree with. Should physicians help terminally ill patients end their lives? Is abortion ethically permissible? Should we allow couples to "design" their children? How should scarce medical resources be distributed? Should animals be used in research? These are the kinds of questions you will actively explore in this seminar. Using a case-based approach, this class develops your skills of ethical analysis and argument in practical contexts. You will interact with guest speakers from UWMC and learn how ethical issues are handled in real world settings. Whether you are planning a career in health care or science, or simply want to be an informed consumer, don’t miss this seminar! UW Collegium Seminars are co-sponsored by First Year Programs (FYP) and the Husky Leadership Initiative (HLI). FYP fosters a successful undergraduate student experience through strategic programming that focuses on positive academic transitions and the development of learning communities. Through partnerships with faculty, staff, alumni, and student leaders our programs create the space for students to define how they will engage, learn, and thrive at the University of Washington. HLI is a cross-campus effort that deepens, facilitates and expands student leadership education opportunities both in and outside the classroom. We work to cultivate the knowledge, skills and attitudes students need to be effective change agents and contributing members in their communities. © 2019 University of Washington. The UW is committed to providing access, equal opportunity and reasonable accommodation in its services, programs, activities, education and employment for individuals with disabilities. To request disability accommodation, contact the Disability Services Office (DSO) at least ten days in advance of the event at: (206) 543-6450 (voice), (206) 543-6452 (TTY), (206) 685-7264 (FAX), or dso@u.washington.edu.